Tablo is a new home for publishing that believes in giving everyone the opportunity to share their story. We've created an online platform where any author can publish their writing, connect with a global audience of readers, and find new possibilities for their work. 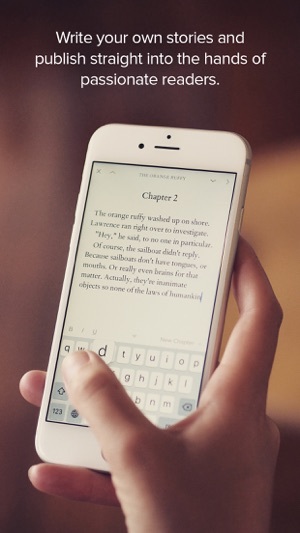 Authors in over 150 countries write and publish stories on Tablo. 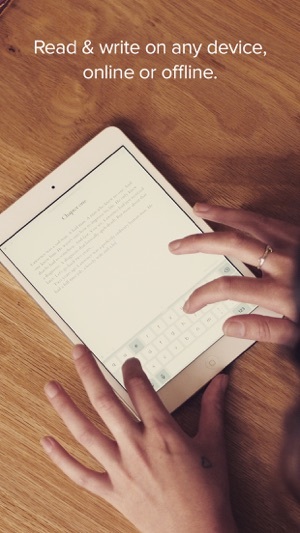 You can write on any device (including the web), online and offline, and connect directly with a passionate audience of readers. 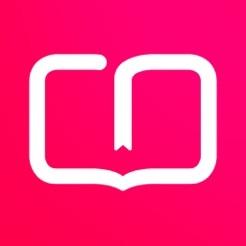 Readers use Tablo to discover great free books. You can read stories from bestselling and breakout authors in the genres you love. At the heart of Tablo is human curation. Our editors uncover and promote the best upcoming talent on Tablo, so you can trust that the stories we recommend are bestsellers in the making. You can join a growing list of local libraries and publishers to meet experts and access amazing opportunities for your work. Writing and reading Communities help you meet and work with people around the world who share the same writing passions as you. There's a home for everything on Tablo, from Thrillers to LGBT+, all lead by passionate Tablo members. We've also made a bunch of little updates, including adding some handy gestures to close a book, and tidying up the way profiles appear. If you're enjoying Tablo, please think about giving us a review or rating on the app store. Every piece of feedback makes a big difference, and helps us spread the Tablo love to even more writers and readers around the world. 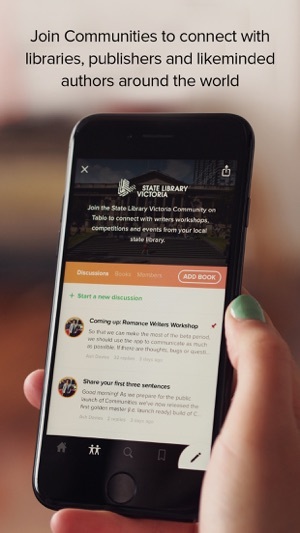 I was very excited about this app, as I've used wattpad for years and it was heartbreaking when they kept deleting about 15 of my books with no notice. All my hard work, gone in an instant. Devastating myself and the readers who followed my stories, eager for each update. 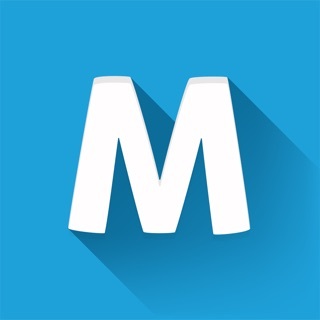 - when I found tablo, it looked like it would be so much better and easier than wattpad! But it's extremely difficult to write my books on this app and its just not user friendly. You can't just go to your account and gave a spreadsheet of all your works, eats access to each chapter in your book, etc etc. I had one of my good wattpad followers check tablo out to get her perspective and she also found it very difficult to use and navigate. So it's just been very disappointing. Okay app, but needs work. 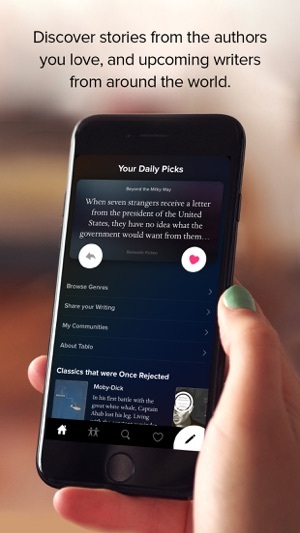 So, overall Tablo is a pretty good app for readers and authors. I haven’t had the app for too long, but I’m already starting to regret installing it because of issues I have had with the app ever since I installed Tablo to my device. First of all, the app is becoming very frustrating for me, because it keeps flopping around my chapters. I am currently writing a book (or trying to at least) on Tablo, but it is quite difficult, and I have had to restart multiple times because of this specific issue. It will not keep my chapters in order. For example, if I start a brand new book, I will obviously start on chapter one. Then, I will create a new chapter (chapter 2) once I am done with the first one. I then continue onto chapter three, four, and so on. I walk away for a second, next thing I know, chapter two is first, three is second, there are two chapter ones (one blank, one with writing), and chapter four. It makes the app incredibly hard to use and instead of Tablo being fun for me, it’s rather frustrating. I’m a reader. Got to this app due to a story I was reading on another app, Wattpad, hadn’t completed the book there, but on this app. 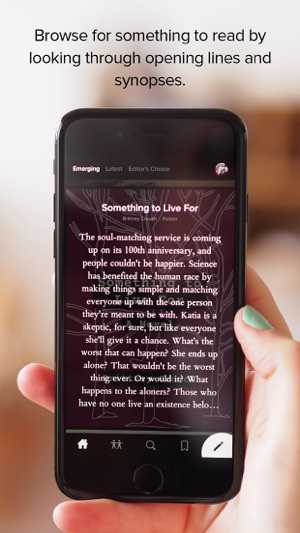 If it worked more like other reading apps I’d keep it. I don’t know who the designers are for this app, but it is seriously lacking. No “library” for books being read, hit follow for an author, but there’s no link to see who following. Doesn’t have the same comment about this chapter feature I saw in the online version (which I did online, but can’t see what other comments there are others posted). Sure hope this company is good for those writing books and truly aides them in self-publishing. I’m deleting the app from my devices, not worth keeping.